Written by Shayla Price on February 16, 2018 . It’s the boring things that matter most. Broccoli isn’t appealing, yet it gives you that much-needed calcium and fiber. Squats seem mundane and repetitive on leg day, but you’ll gain strength. This principle holds true in email marketing, too. While marketing emails are fun and sometimes flashy, it’s the overlooked transactional emails that deliver value to your lifecycle marketing. According to an IBM Marketing Cloud study, transactional emails are opened more than two times as much as non-transactional emails. Moreover, transactional emails have a median click-through rate of 4.8%, exactly three times higher than non-transactional messages. With that said, it’s time to give transactional emails your undivided attention. They hold the key to customer retention. Let’s explore the value behind transactional emails and how your team can reap the benefits. Your team can bridge the gap between the customer and your brand. The starting point is understanding the value within your transactional emails. In lifecycle marketing, shiny object syndrome is a real thing. Your team can get quickly bogged down by every new tactic in the market. You can either obsess over the color of your call-to-action button, or you can turn your attention to making big moves in your strategy. Of course, we recommend the latter. For transactional email campaigns, this process involves evaluating how each message correlates with your customers’ behaviors and then using those existing behaviors to improve the customer relationship and your revenue goals. Let’s say every time Mary buys a product from your brand she expects an email receipt. So her natural instinct is to check her inbox. Mary also doesn’t like sifting through multiple pages to find products that fit her needs. She would rather someone give her suggestions. In this case, upselling or cross-selling in your transactional emails can help customers like Mary discover more value in your brand. One solution is to send Mary an email receipt that includes targeted product recommendations. Mary is happy because she gets her receipt and suggestions without adapting any new behaviors. Your team wins by adding another revenue opportunity to an existing channel. This strategy works across several industries. 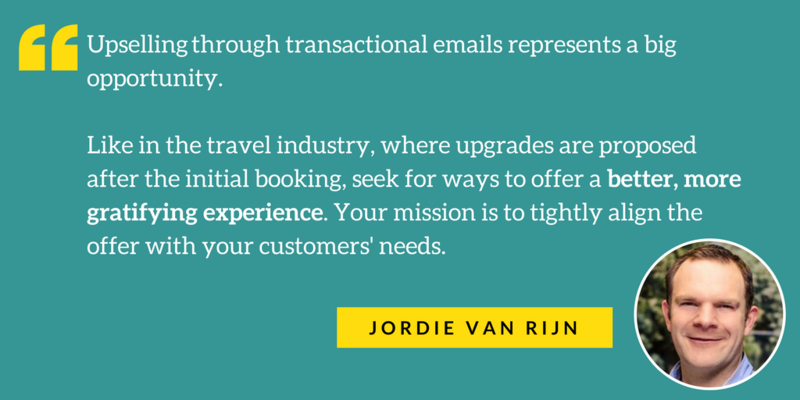 Jordie van Rijn, an independent email marketing consultant and industry influencer, gives his viewpoint: While it’s tempting to concentrate on arbitrary tactics, you’ll benefit more by building a sound strategy around your transactional email campaigns. Focus on customer behavior, then insert a path to achieve your desired goal. Strategy is dead without action. So don’t let your plans get accidently deleted in an unnamed folder on your desktop. Make a deliberate effort to execute your strategies. Below are a few examples of how transactional emails can serve your customers and your company. Every user needs a nudge in the right direction. In-app notifications empower the user to engage with your application. It serves as a reminder for the user and creates an essential habit-forming behavior. 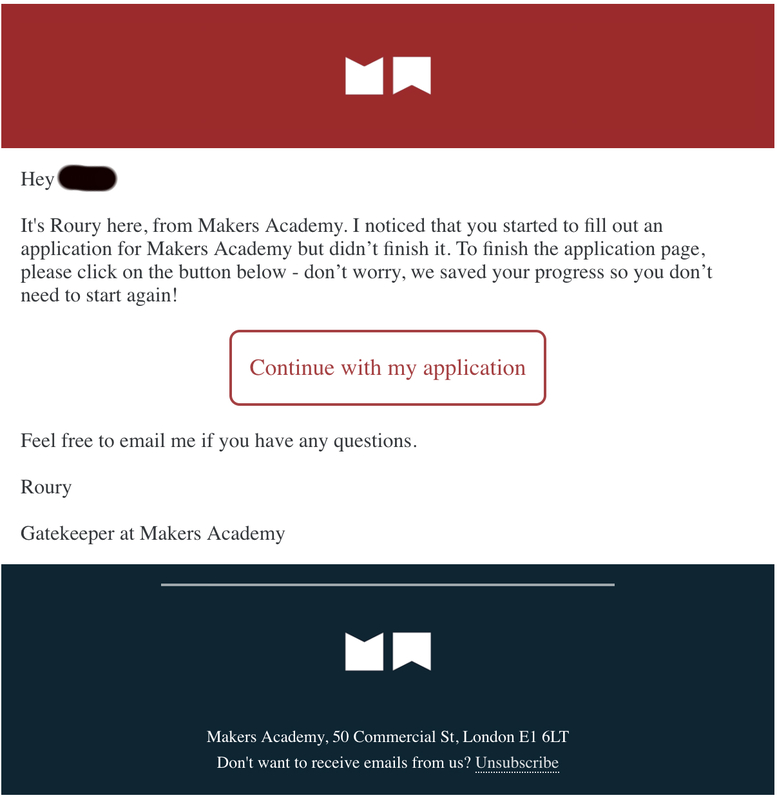 Makers Academy regains the attention of their users with an in-app notification. This transactional email points out that the person hasn’t completed his application. With a bold call to action, the user feels enticed to log back into the platform. Satisfied customers sit on the front lines of brand advocacy. They possess the zeal to spread the good news about your product. Your team’s responsibility is to give them the tools to make the magic happen. Referrals emails help facilitate your advocacy efforts. 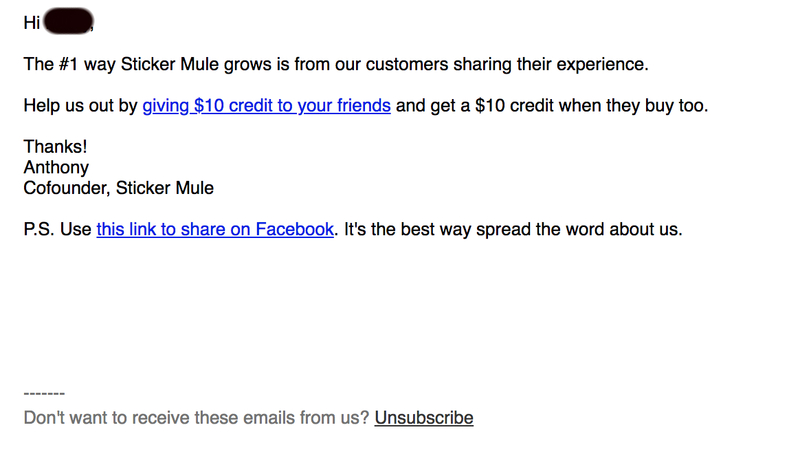 Sticker Mule shares the reasoning for their email with guidance on how to participate in their referral program. Plus, their customers gain something in return. Payment collection dates back to ancient civilization. A timely invoice notifies customers about their purchases and the amount owed. It also is a strategy to improve your cash flow. 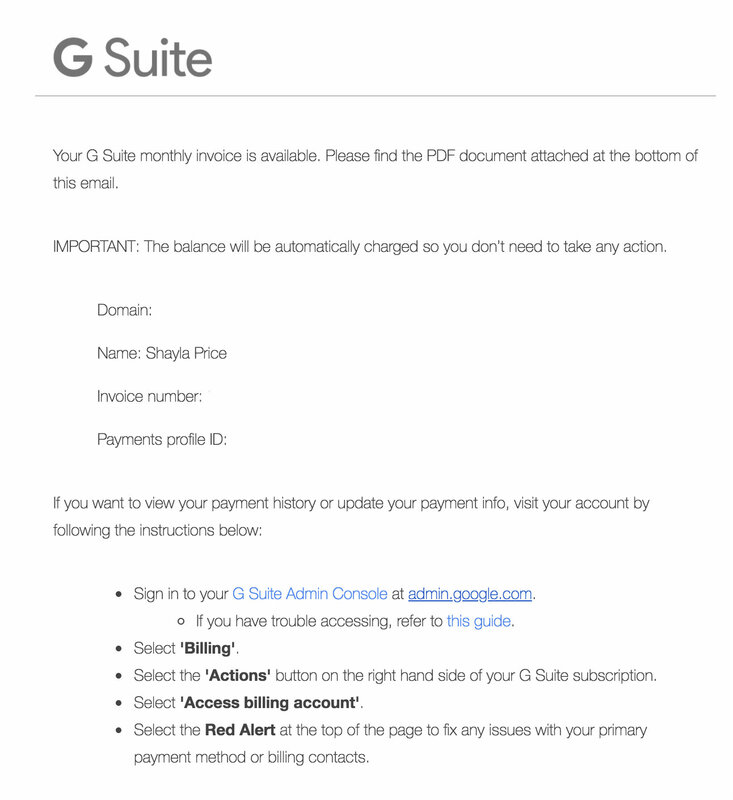 G Suite provides a straightforward invoice. It informs the customer that the balance will be automatically charged. 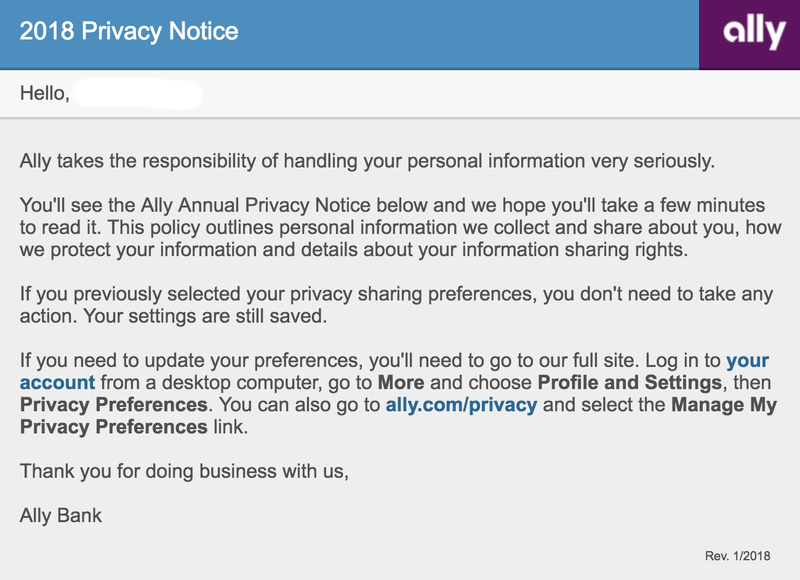 This transactional email also offers clear-cut instructions on how to update payment information. Once your strategy is in motion, it’s easy to put your transactional emails on autopilot. But that doesn’t help your customers or your quarterly goals. It’s important that you continue to optimize your messages beyond inception. Yes, this process may involve A/B testing your subject lines, copy length, or even your timing. But as a smart marketer, you want to go the extra mile. Try optimizing for value. You can start by analyzing how a specific transactional email fits into the customer lifecycle. What is the customer’s mindset? What do they hope to achieve? How can you exceed their expectations? For example, a welcome email serves as the first email new customers receive from your brand. These customers may be hungry for more details about your company or want more reasons to stick around. In this type of transactional email, you’ll want to highlight your value proposition, answer any lingering questions, and add a call to action for them to experience your brand. You’ll also want to understand how your recipients engage with your emails. With the boom in mobile devices, every customer isn’t reading emails from their desktop computer at home. Email Client Market Share data uncovers that mobile devices is still the most popular reading environment for email. 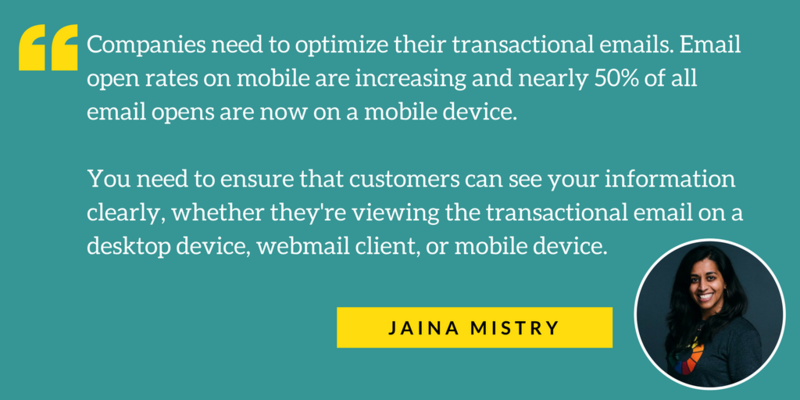 Jaina Mistry, an email marketing specialist at Litmus, offers her expert advice: Improving your transactional emails is an opportunity for your team. When you optimize for value, you’re optimizing for a better customer experience. And happy customers lead to retention.